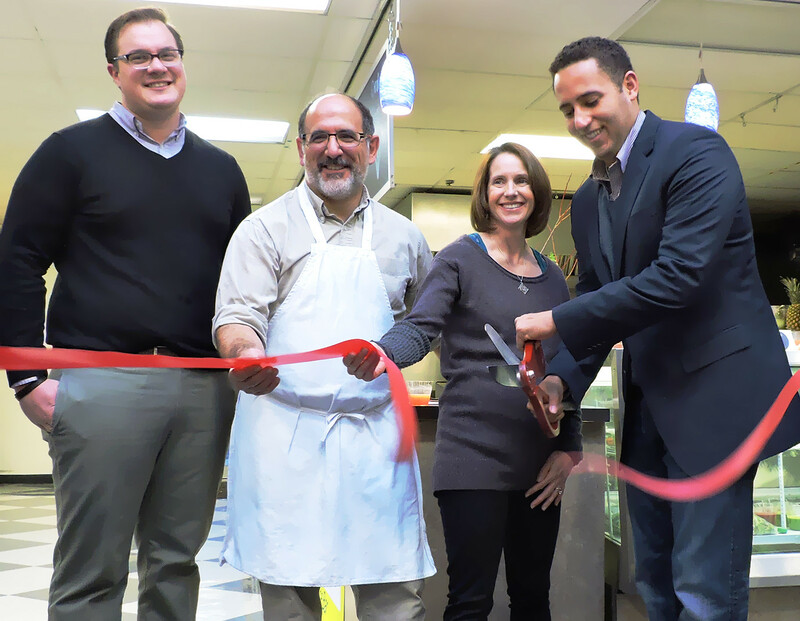 Concord’s Maine Squeeze celebrated their store opening with a ribbon cutting on November 23rd. Owner Gretta Dickerman and her husband, Mike, are pictured with Ryan McCune of the Tompkins Chamber, and City of Ithaca Mayor Svante Myrick. Concord’s Maine Squeeze is a juice bar that offers fresh squeezed veggies, fruits, and herbs, located in Center Ithaca on the downtown Ithaca Commons.